Dental discoloration can make an otherwise beautiful smile appear unhealthy. Patients with severe staining can benefit from cosmetic dentistry procedures such as teeth whitening, dental bonding, or porcelain veneers. The treatment option recommended for you will depend on a few factors, including what type of discoloration you have as well as your long-term aesthetic goals. Today, our Woodinville, WA dental team explores porcelain veneers for tooth discoloration and explains what patients can expect while undergoing treatment. Porcelain veneers are custom-crafted from layers of medical-grade ceramic. The veneers are bonded to the front surfaces of the teeth to camouflage cosmetic imperfections such as chips, gaps, cracks, slight misalignment, and discoloration. To apply veneers, your dentist must remove small amounts of enamel from the natural teeth. This creates an optimal bonding surface and also makes room for your new veneers. Typically, the veneer placement process takes two visits: one to prepare the teeth and take impressions, and another to place the veneers. Many patients who simply wish to brighten their smile can choose professional teeth whitening treatments. However, it is important to understand that whitening only works on certain types of stains. For example, extrinsic stains, caused by coffee, tea, berries, cola, red wine, and other dark-colored foods and beverages, can be successfully removed with teeth whitening. In contrast, intrinsic stains are deep within the tooth structure, and cannot be successfully bleached. This type of discoloration is usually due to trauma, health conditions, or certain medications. If you have intrinsic staining, then you may be better suited for porcelain veneers. Porcelain veneers are an excellent option for addressing dental discoloration. In fact, veneers can enhance the entire appearance of your smile. In addition to brightening the color of your teeth, they can also alter the shape and size of the teeth if necessary, delivering a truly balanced, symmetrical appearance. Some patients combine teeth whitening and veneers. For example, they may wish to place veneers on the six front teeth and bleach the back teeth for an overall brighter appearance. Keep in mind that if you choose to whiten your teeth as well, do so before you receive your veneers. That way, your new veneers can be color-matched to the rest of your teeth. Fortunately, porcelain veneers are stain-resistant. Therefore, they will not discolor as quickly as the natural teeth. However, they can still become darkened or damaged over time. Consume dark-colored foods and beverages in moderation. Though veneers will not stain as fast as natural teeth, it is still a good idea to steer clear of certain foods. Try drinking coffee, tea, and soda through a straw, as this will decrease the time that the liquid is in contact with the enamel. Avoid hard foods. 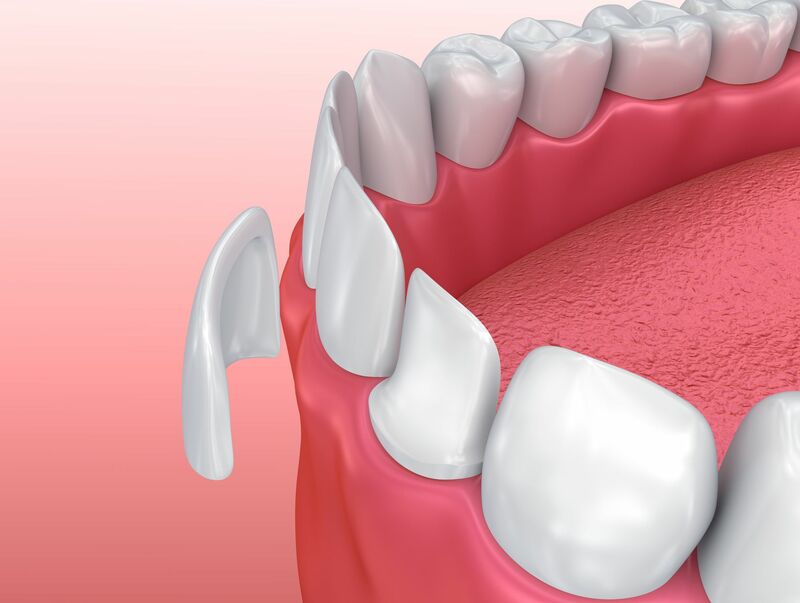 Porcelain veneers are strong, but they can still become damaged. Avoid chewing on ice, hard candy, nuts, popcorn, and other hard foods. Brush and floss daily. Veneers do not require any special maintenance. Simply brush and floss as you normally would. We recommend using a non-abrasive toothpaste, as harsh products can scratch the ceramic. Visit the dentist regularly. To ensure your veneers are still in good condition, see your dentist for routine examinations and cleanings. If you are interested in porcelain veneers for tooth discoloration, schedule a visit at Signature Smiles. Reach us by phone at (425) 489-1177 or contact us online anytime.